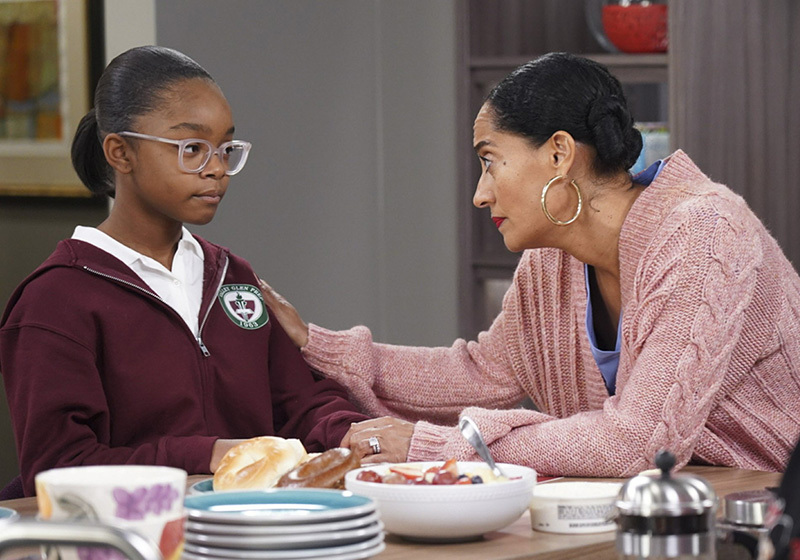 This image released by ABC shows Marsai Martin, left, and Tracee Ellis Ross in a scene from "black-ish". “Colourism,” the idea that light-skinned minorities are given more privilege than their darker-skinned peers, is a centuries-old concept that many insiders say remains pervasive in the entertainment industry. The instant reckoning of social media has brought prominence to the issue and on Tuesday the ABC sitcom “black-ish,” known for not shying from heavier topics, confronted it. When images from “Ralph Breaks the Internet” came out last year, it appeared Princess Tiana, Disney’s first black princess, had a lighter complexion and sharper features. Anika Noni Rose, who voices Tiana, met with animators and spoke about how important it was that dark-skinned girls see themselves represented. The studio also consulted the civil rights group Color of Change.